Mrs. Mary Thornton Lucas, age 87, of Griffin, passed away on Sunday, September 24, 2017, at Brightmoor Nursing Center in Griffin. Mrs. Lucas was born in Greenville, GA on May 27, 1930 to the late Wiley A. Thornton and the late Mary Wilson Thornton. She retired with 35 years of service as an RN at Spalding Regional Hospital. Before her health declined, she was an active member of Southside Baptist Church, where she attended Sunday school, sang in the choir, and was in charge of the bereavement committee. 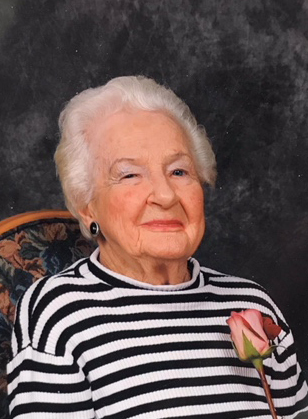 She was also a member of the Kiwanis Club and served as President of the Golden K. Mrs. Lucas enjoyed serving the people of this community, whether it was volunteering her time at Spalding Regional Hospital or the corn dog booth at the Spalding County Fair. She was also preceded in death by her husbands, Benny Henzel and Wearnest Lucas; sister, Wylene Rozell; and brother, Ralph Thornton. Mrs. Lucas is survived by her daughter, Rosemary Henzel Beasley; grandchildren, Bart Beasley and Blair Beasley; brother and sister-in-law, Thomas A. and Glenda Thornton; and several nieces and nephews. A celebration of life service for Mrs. Mary Thornton Lucas will be held on Wednesday, September 27, 2017 at 11:00 a.m. at Southside Baptist Church. Dr. Mark Sellers will officiate. Friends may visit with the family one hour prior to the service at the church. In lieu of flowers the family requests donations be made to the Southside Baptist Church Music Program, 1332 Zebulon Road, Griffin, GA 30224; Ferst Foundation of Childhood Literacy, P. O. Box 1327, Madison, GA 30650; or CEC First Methodist Church, 1401 Maple Drive, Griffin, GA 30224, in memory of Mrs. Lucas. The family would also like to thank the staff and nurses of Brightmoor Nursing Center with a special thanks to Jennifer and Angela for the care given to Mrs. Lucas during her time there. To send flowers to the family of Mary Thornton Lucas, please visit our Heartfelt Sympathies Store.